Went to her new home on Saturday 28th October 2017. 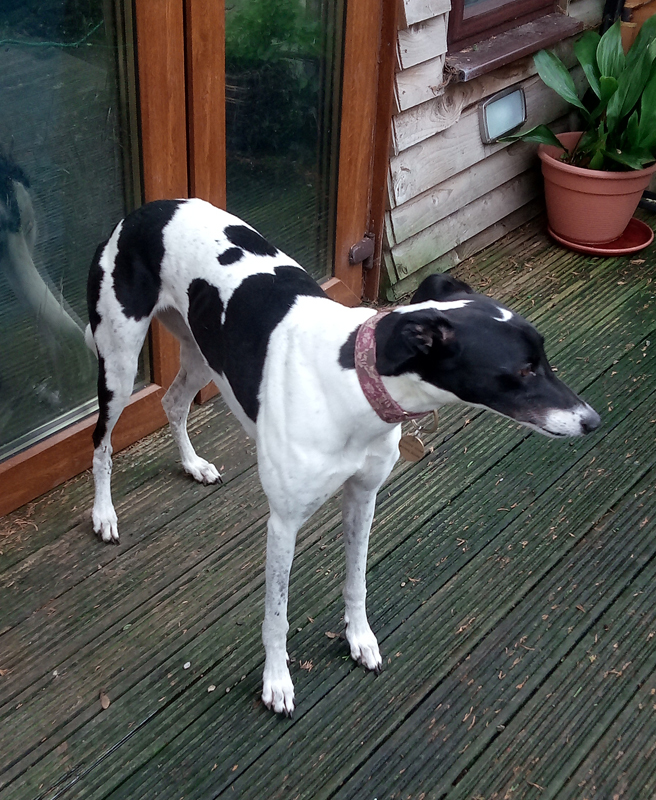 Poppy is a white and black ex-racing greyhound who weighs about 27kg and is nearly 4 years old. 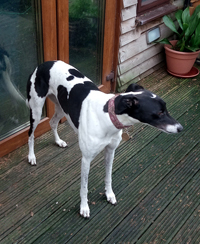 She is very friendly and affectionate girl who walks okay on the lead and is okay with other breeds of dogs. Her racing career finished when she fractured her hock, but this has been pinned and all is okay now.